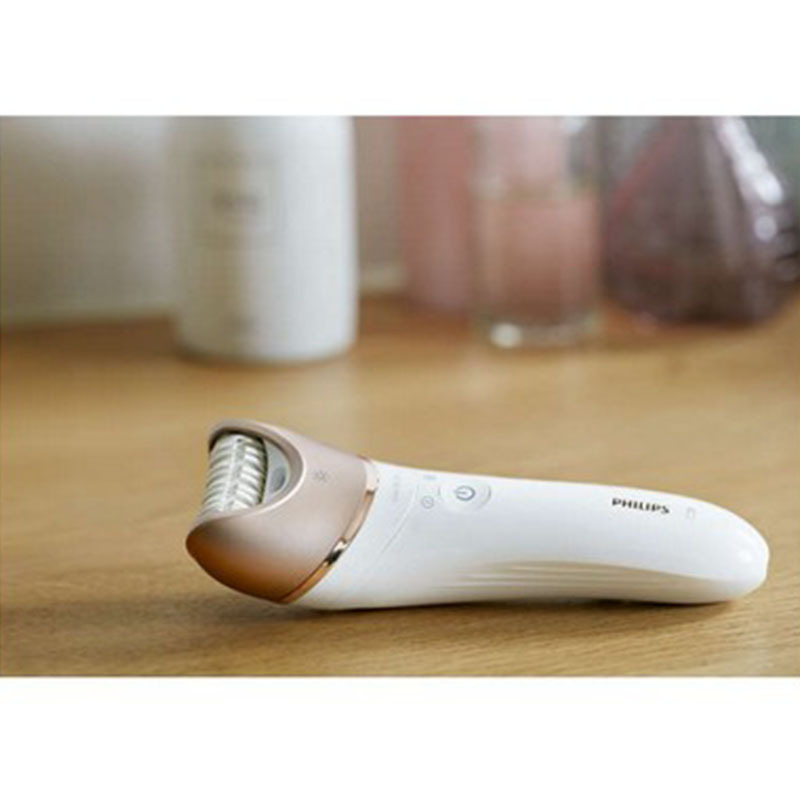 A skin-smoothening wet and dry epilator. 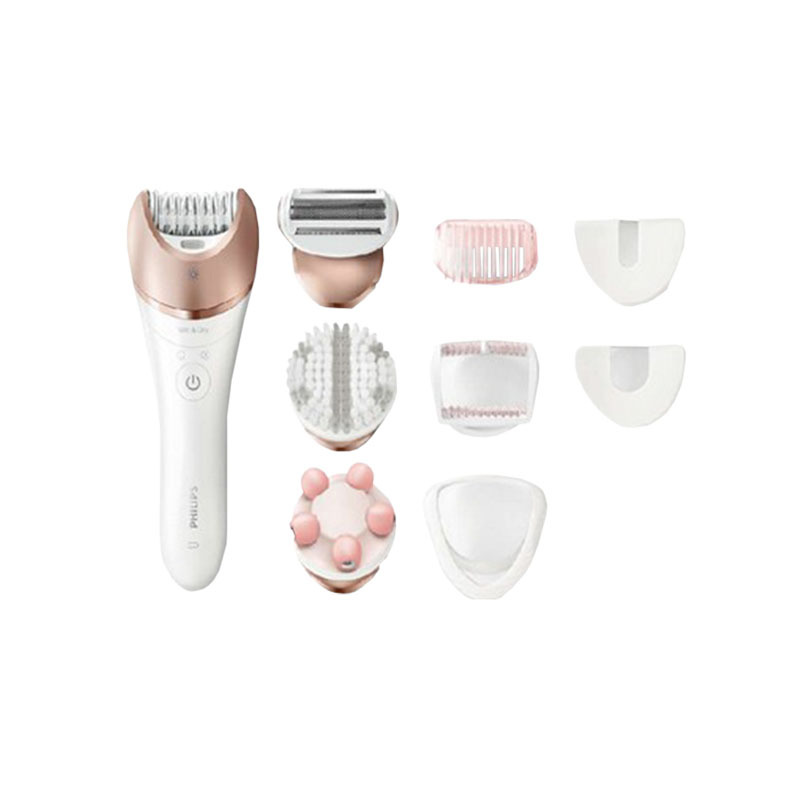 This epilator with ceramic discs that rotate at high speeds to remove hair effectively and painlessly. With a handy grip, the epilator is easy to use and targets even the smallest of hair. The different discs allow you to smoothen skin texture before and after shaving. The cordless and water resistant mechanism allows for exfoliation even during a shower.